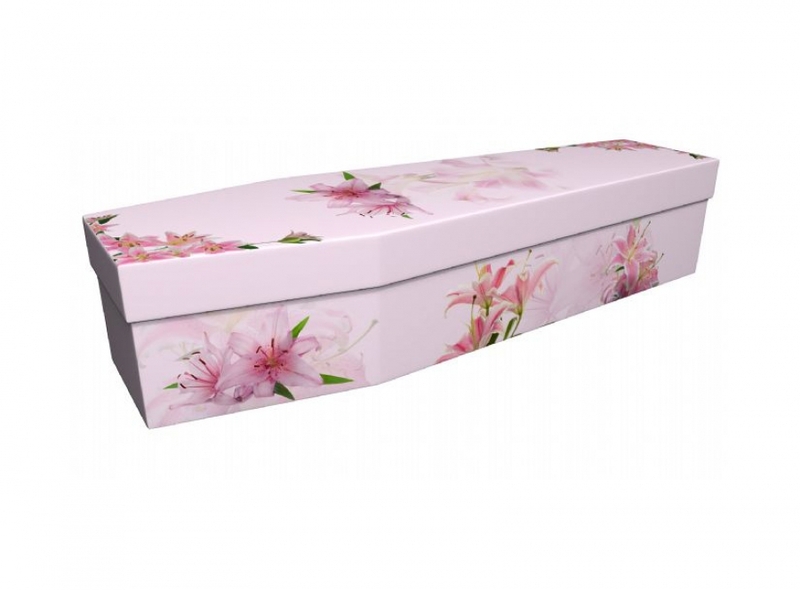 Designer coffins in various colours & designs in Cardboard & Wood. 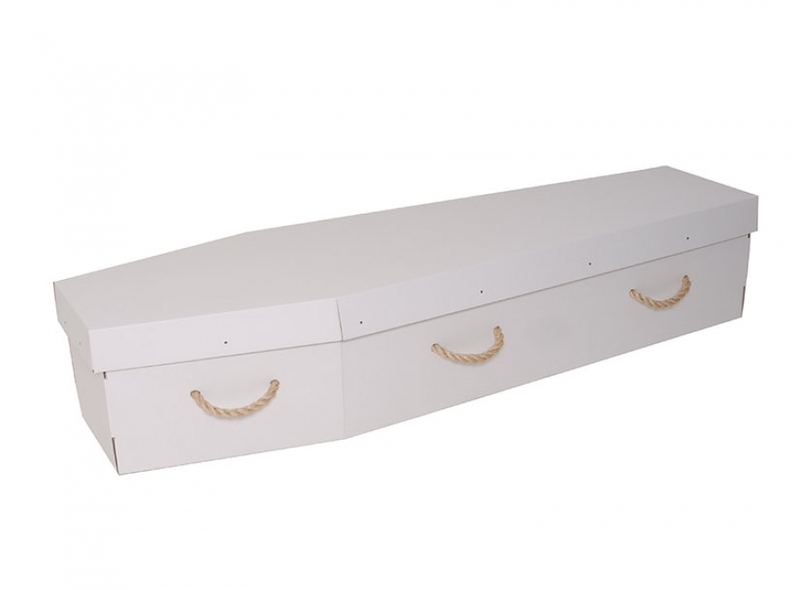 Choose a Designer Coffin. Cardboard and Wood. 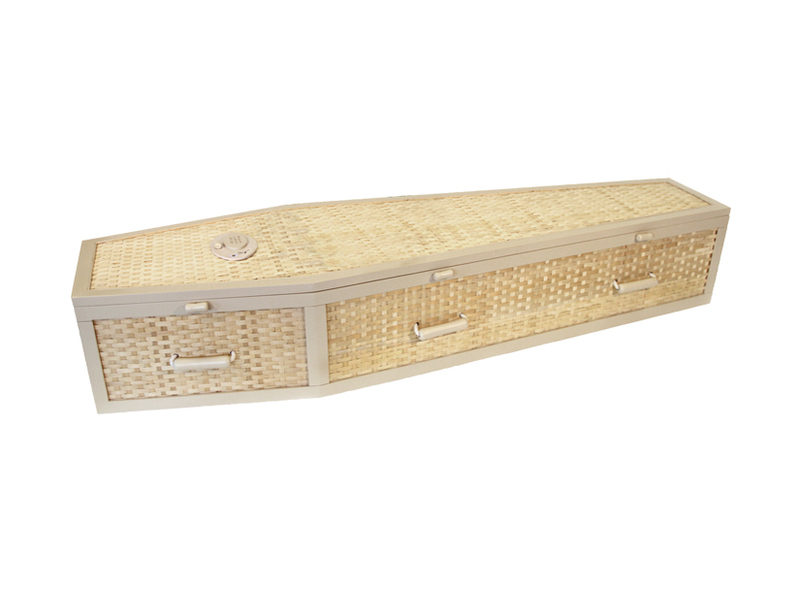 At Greenfield Coffins we understand how difficult organising a funeral is. But, worry not, our friendly team will help you through this difficult time. We have a wealth of experience and can answer any questions you have. We work extremely hard to put you at ease and help you choose the most suitable coffin. 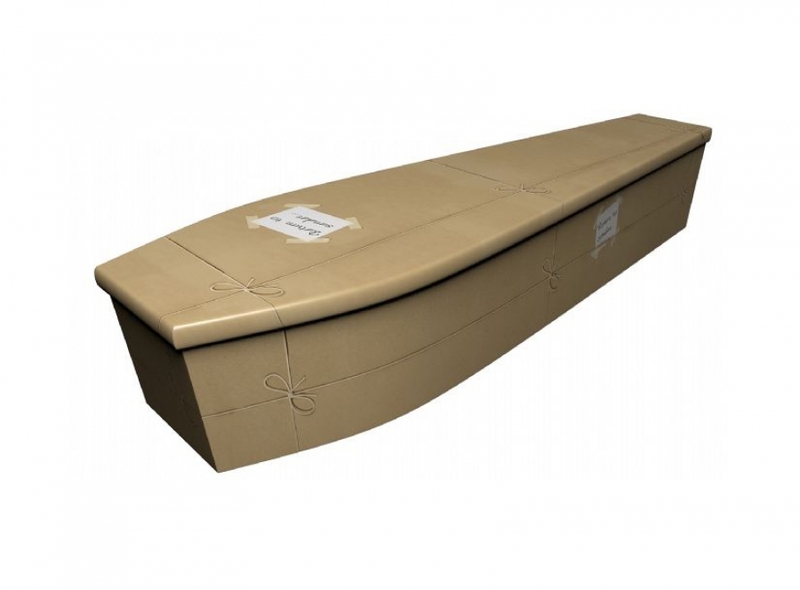 We have a comprehensive range of traditional or modern coffins in a range of materials including cardboard and wood. 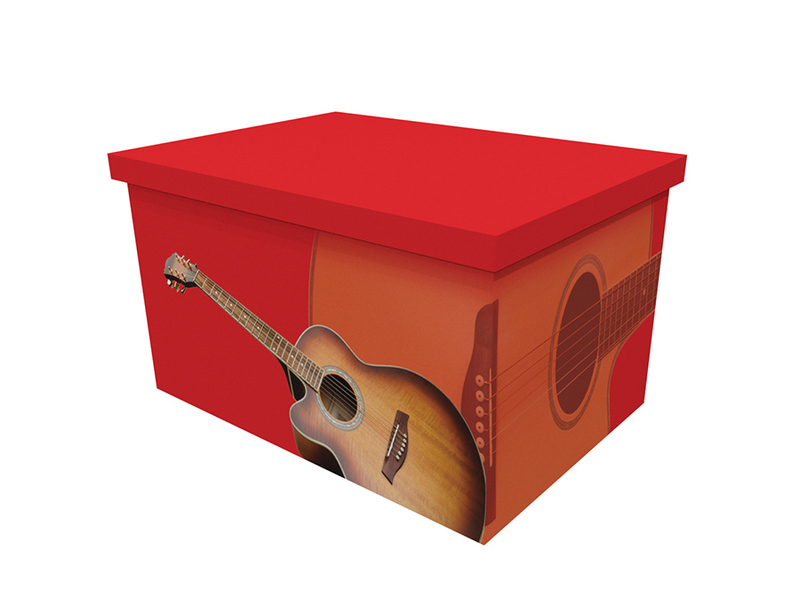 Greenfield specialise in personalised coffins that can be designed with the parted soul in mind. 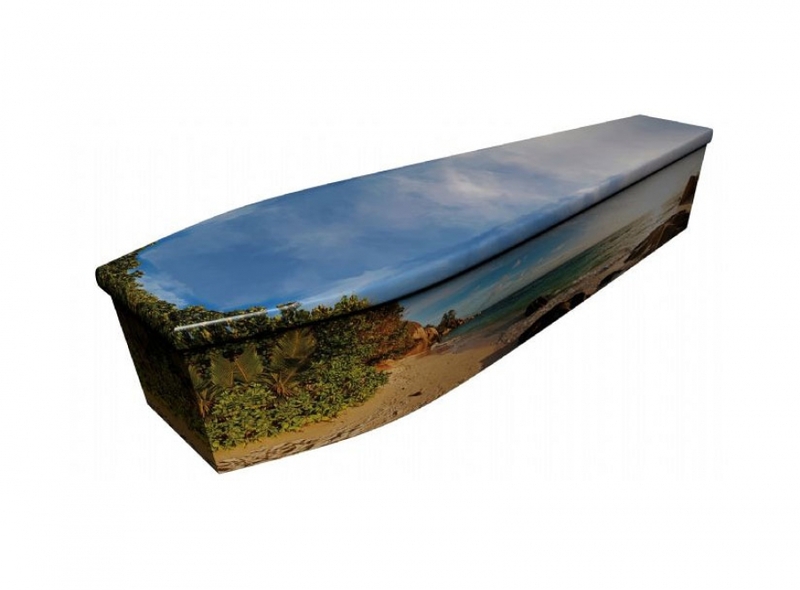 It is possible to have a coffin printed with any design. 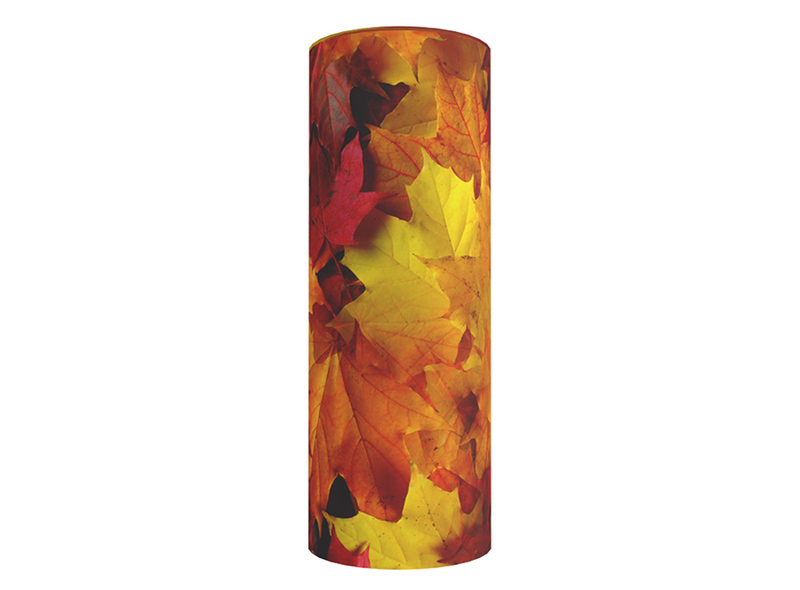 The level of finish is superb and this is a wonderful option for those people that would like to go out in style. 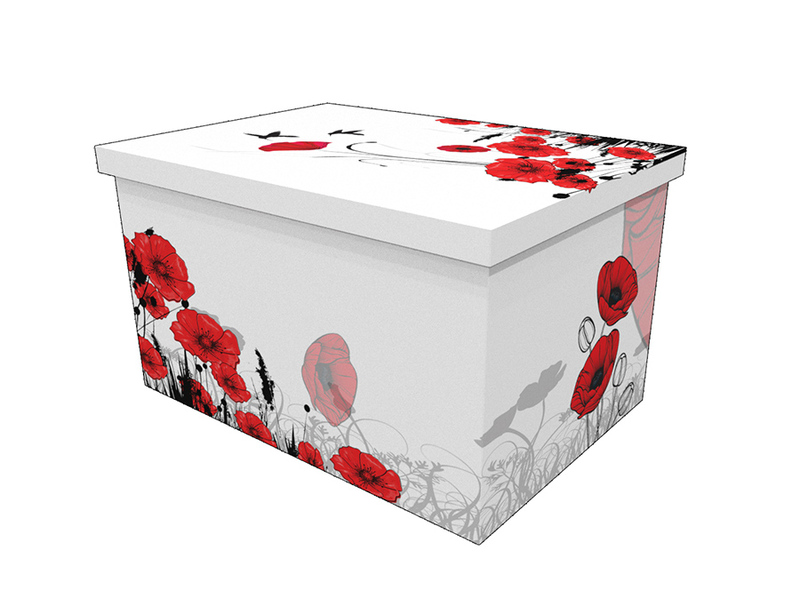 Often decorated with designs that reflect the life and interests of the departed these designer coffins can be bright and colourful and are a wonderful way to both mourn and celebrate your loved one’s life. Our team is here to help so please do ask and we will help make some suggestions as to the kind of design you think would be suitable. 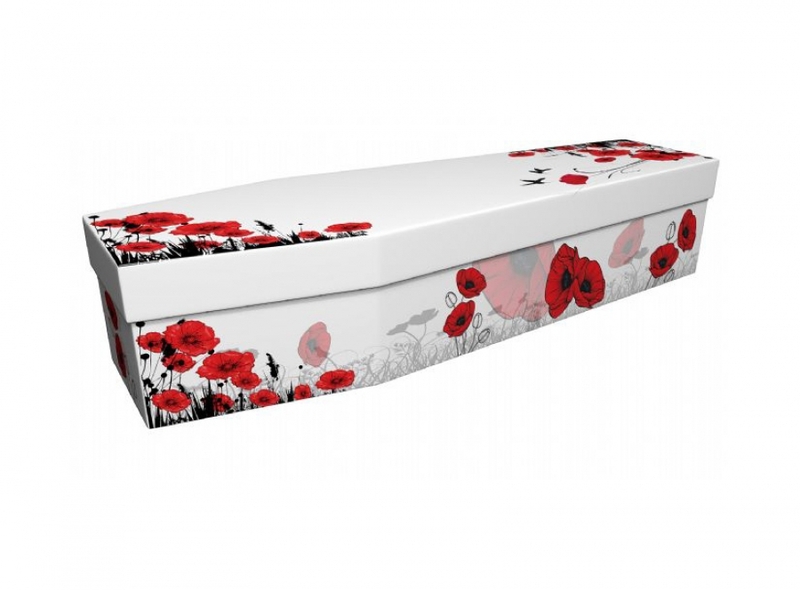 There is very little that can’t be done and these range between standard white, black or wooden coffins to floral designs, pictorial scenes and any bespoke design that you can imagine. You can provide a photo and leave the rest to us. 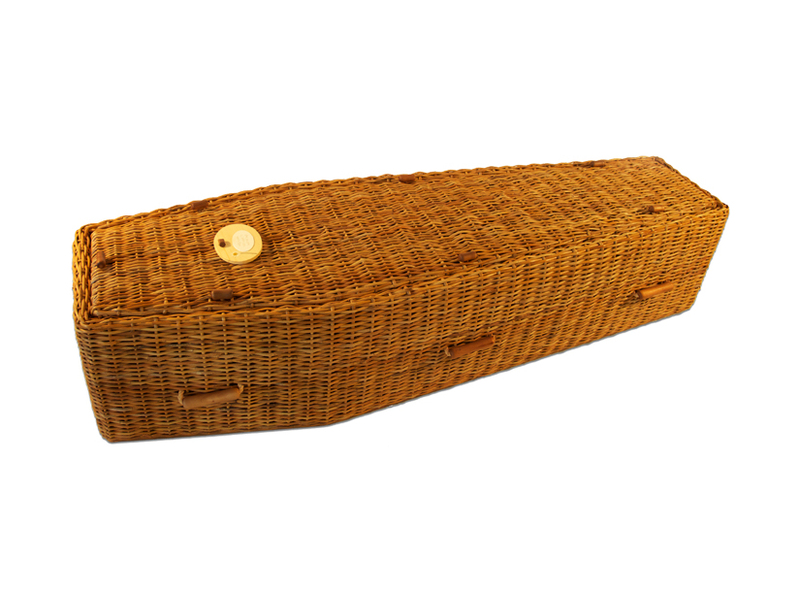 The range of cardboard coffins are a great choice for those looking for an eco-friendlier option than alternatives. 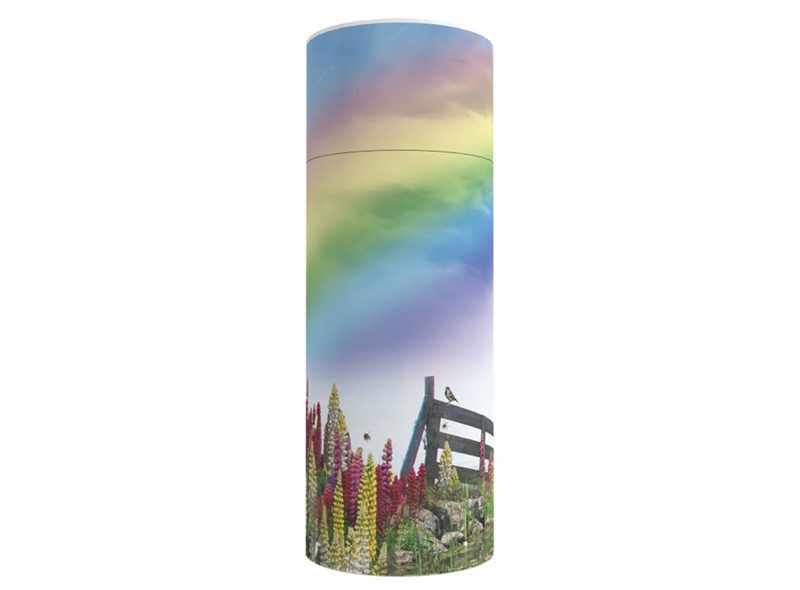 Our coffins are accepted at all cemeteries, crematoriums and woodland burial sites across the UK.